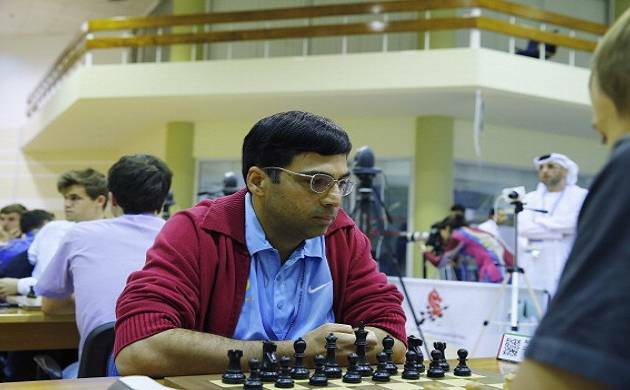 Indian chess wizard Viswanathan Anand drew with long-time rival Vladimir Kramnik of Russia to finish the London Chess Classic with a shared third result after the end of the ninth and final round here. The highlights of Anand's campaign were the innovative ideas he displayed, while the lone low point was the defeat against Hikaru Nakamura in the third round. Anand remained the biggest star if the fan following was anything to go by. Wesley So of the United States expectedly won the tournament with an easy draw with white pieces against Maxime Vachier-Lagrave of France in the final round. The Filipino turned American ended up with six points out of a possible nine and remained a half point ahead of second placed compatriot Fabiano Caruana who also played a draw with Anish Giri of Holland. Anand, Hikaru Nakamura of the United States and Kramnik tied for the third spot on five points apiece and it's almosta certainty now that the Indian ace will get a call back for the next year of the Grand Chess tour which will have a new event added to the existing four. Wesley So couldn't have wished for a better first appearance in London. His phenomenal debut brought him both the tournament victory worth USD 75,000 and, more importantly, a win in the Grand Chess Tour worth USD 100,000. "This is definitely my best achievement ever," So said. Anand was all praise for the new star in world chess. "I guess the word that comes to my mind is effortless," he said, adding, "It really looks effortless. He doesn't even seem to be trying very hard. He's been undefeated for so long. I'm very impressed by how easy he makes it seem. "Anand played white and opened with the queen pawn that did not give him many chances as Kramnik was well armed. The result was a quick draw when Anand decided there was not much left to play for. The Indian was in fine fettle throughout the tournament and has every chance to be among the top eight that gives a chance to make to next world championship. "I'm definitely going to play in the World Cup, that's my main chance to qualify for the Candidates'. In the mean time, I'm very excited to be in the Tour so definitely my ambitions are quite high. I'm going to play a lot of chess, and I'm going to enjoy it as well," said Anand on his plans for the future. Results final round: V Anand (Ind, 5) drew with Vladimir Kramnik (Rus, 5); Wesley So (Usa, 6) drew with Maxime Vachier-Lagrave (Fra, 4); Levon Aronian (Arm, 4) lost to Veselin Topalov (Bul, 2); Anish Giri (Ned, 4.5) drew with Fabiano Caruana (Usa, 5.5); Hikaru Nakamura (Usa, 5) drew with Michale Adams (Eng, 4).